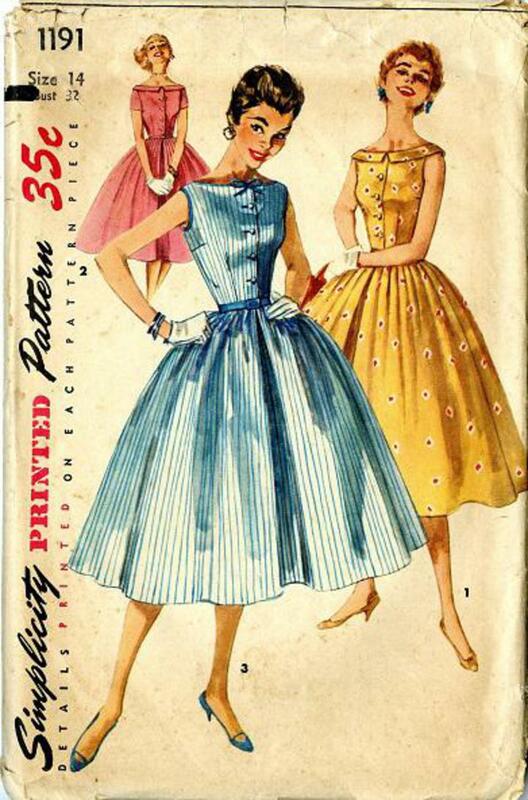 1955 Simplicity #1191 vintage sewing pattern, misses' one-piece dress, size 14. The charming fashion features a wide rounded bateau neckline. Full skirt has soft pleats in views 1 and 2 and is gathered in view 3. Skirt, all views has an inverted pleat over center front and back seams. Neckline and armhole edges, view 3, are bound with contrasting bias.